We’re an award winning design agency, based in the heart of East London. Each of our bespoke websites are tailored to your school’s individual requirements, meaning that you receive a website that reflects your unique ethos and brand. We care about our schools and look to build relationships with them, rather than just websites. With over a decade of experience in education, our staff know the unique challenges facing inner city schools. We are able to provide a bespoke approach to each school. This ensures that our service is tailored to best meet each school’s specific challenges within their available capabilities and resources. Here you can see a small sample of recent projects from our portfolio. Hopefully it will provide you with a little inspiration. Part of a much larger project involving the RSA Multi-Academy Trust. This project makes excellent use of video, social media and distributed content, allowing content to be broadcast and shared between each website within the MAT network. New Wave has a complex offer, being a Teaching School and an Apple Regional Training Centre. 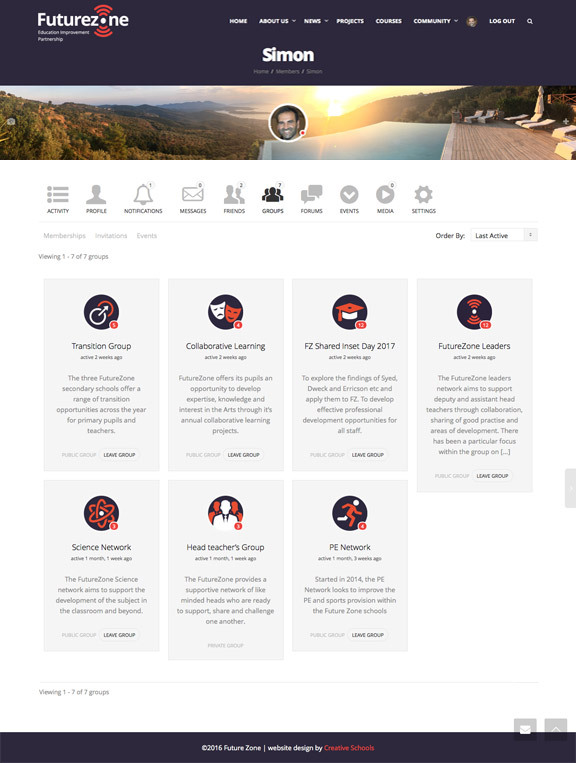 We simplified the experience through the use of an interactive course grid, whilst allowing users to easily enquire or book places through EventBrite. This website beat a large number of competitors to win “Best in Class” at the IMA (Interactive Media Awards). If you’re a secondary school, this website will provide an interesting example of our capabilities. A very popular website. Hargrave focuses on clear communication, with key content cleanly set out in a grid structure that was easy to follow for parents with EAL. iC6 wanted to freshen up their website with a modern and “grown up” approach. This exciting project included an interactive course finder and online application form. What happens when 18 schools want to collaborate? You build a social network. FutureZone allows members to create groups (for others to attend), upload documents, discuss topics via forums and lots more. 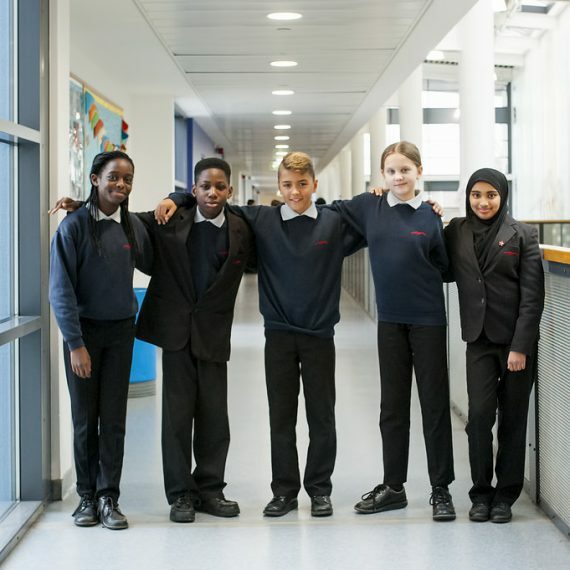 Newington Green Primary School was re-developed with state-of-the-art facilities and increased capacity. The website was designed to provide information about the new school and highlight the improvements made following their Ofsted inspection. Wolsey is a small community school with limited resources. We produced a simple, visually engaging website that showcased the school ethos and allowed them to communicate effectively with parents. The primary goals of the website were to provide schools with information on how to start their Baccalaureate framework, and to build a network of participating schools. Phase one of the website includes detailed case studies and allows the users to register their interest. 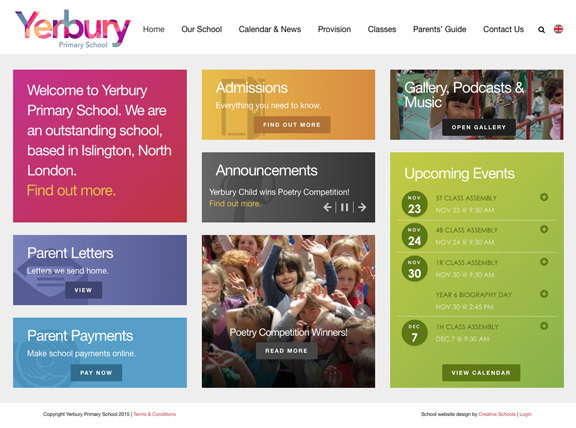 Yerbury Primary is extremely popular; being three times over-subscribed. One of the objectives for the school’s website was to provide clear information on the application process. This was achieved using a simple homepage with signposts to the most popular areas of the website. I cannot recommend Creative Schools highly enough. The team provided outstanding support throughout the creative process and we had a website live in less than eight school weeks from our first meeting. The support since the site went live has also been top drawer with any problems sorted out rapidly and without any fuss. I couldn’t be more pleased with the service we received. We are delighted with our new website! It is fresh, stylish and up to date. Creative Schools have provided us with a bespoke service, taking time to get to know the school and paying attention to the detail that makes us unique. A very personalised approach that is worth every penny. Thank you! We have been delighted with the service and end products that we have received from Creative Schools. We have a bespoke, technologically advanced website that looks great and is easy to use. Being able to drive a newsletter and digital screen off our website means our corporate message is clean and consistent. The work that we have started with print branding is really exciting and hopefully will ensure that our key messages are communicated to our key stakeholders. Creative Schools gave us exactly what we needed and helped us throughout the process from start to finish. We knew we could ask them to tweak the finished website even after completion and they gave us easy to understand instructions and excellent advice. Working with Creative Schools has been a dream. They are true professionals as well as being highly skilled at what they do. They are able to interpret your ideas and give you a product that is innovative and individual. They can really make your school stand out from the rest. Creative Schools would always be my first choice on web design. We loved getting a completely bespoke product. We also loved the personal service provided by Creative Schools. The photographs link very well also with the overall theme. We also liked the fact we could incorporate pages that we wanted, but could not get from a standard product e.g inspectors, or working at our school. We are delighted with the new look and feel of the website. A great number of parents have given us very positive feedback and we already see the potential benefits of improving communication and providing useful, relevant information to all our stakeholders. Thank you again for all your support and commitments over the last few months. We offer a range of services to help promote your school as effectively as possible. Please explore our services to see how we can help you or call 0203 397 5222 and book your free consultation. 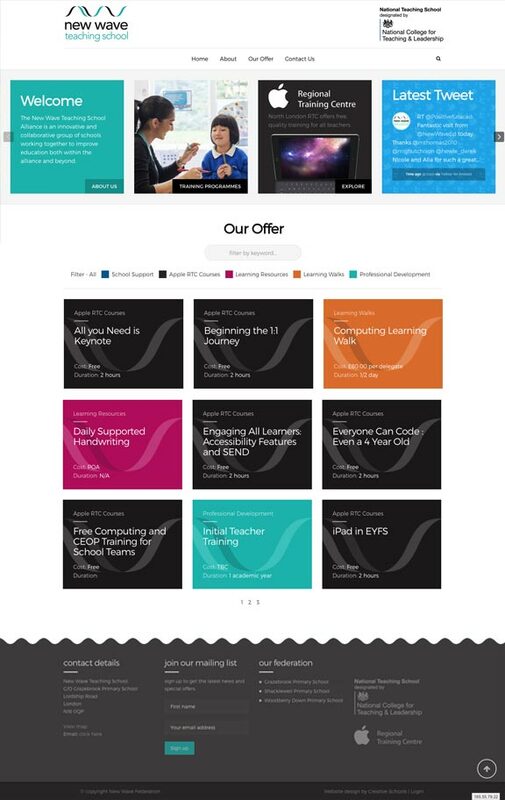 Each of our bespoke websites are tailored to your school’s individual requirements, meaning that you receive a website that reflects your unique ethos and brand. Whether you're starting from scratch, looking to refresh your existing identity, or just want your logo re-drawn, our branding team can create something that makes you proud. We understand that even paperless schools sometimes need to produce printed materials. Whether you are looking for a new prospectus or a stationary suite, we can help. Nothing makes a better impression that a set of professionally taken photographs. 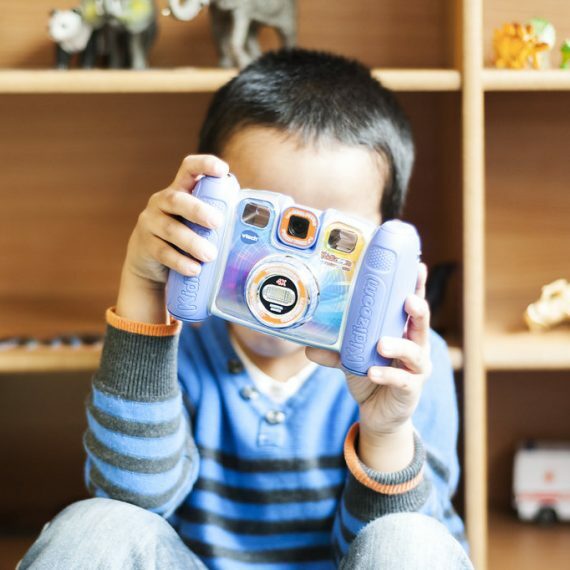 Hire our photographer and show off your school’s full potential. Does your website meet the current DfE legal requirements? We can carry out a full content audit to ensure the website meets the latest regulations. We can create custom digital displays for your reception area that showcase the school to those visiting, or provide useful information for everyday use. The creative blog gives us a chance to share our tips, tricks and expertise with our clients and the wider community. Let us know if you’d like a topic discussed and we’ll try our best to feature it in the future. Planning a successful photo shoot isn't easy. We'll take you through the entire process to ensure you get the most out of the day. Jo Richardson Community School were awarded the prestigious ‘Best in Class’ award for the ‘School’ category at the 2016 Interactive Media Awards. 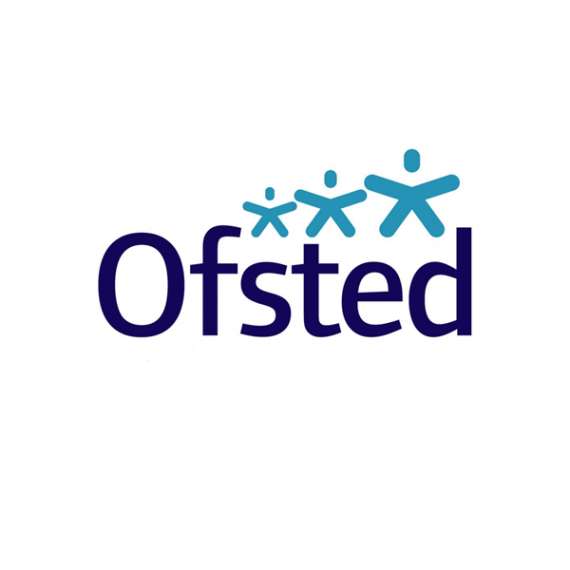 Ofsted have made some changes to the minimum legal requirements that schools in the United Kingdom need to have on their websites for 2016/17. Choosing a design agency can be scary. Can you trust them? Will they do a good job? Will they be difficult to work with? We make the process easy, with a consultation at your school, followed by a proposal for your consideration – all free of charge. You only commit to the project once you’ve signed our contract. Call 0203 397 5222 to book your free consultation.